Join us at Connect 2018, Stibo Systems’ Global Customer Conference, October 7-10, 2018 in San Diego. You will have the opportunity to network with peers, hear customer success stories, and learn how enterprise master data management drives successful business outcomes and energizes digital transformation. We dare you to… Imagine. Inspire. Ignite. Get inspired by well-recognized thought-leaders at the keynotes. Learn from fellow peers in the expert sessions. Take a deep dive into MDM, technology and industry trends in the breakouts and round-table discussions. Join us poolside to imagine all that this week can help you to achieve and be inspired by the other Connect 2018 attendees, sponsors and employees. We will kick off this event in a casual and fun way. Sponsored by Deloitte, our Platinum sponsor for Connect 2018. 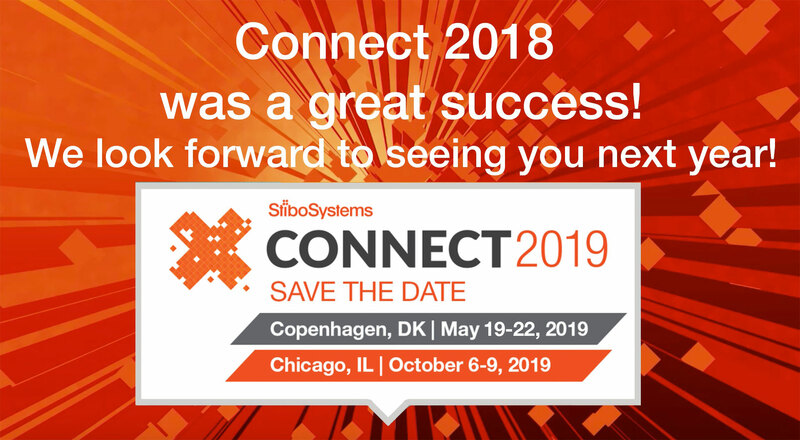 You won't want to miss this opportunity to meet our CEO, CPMO, and other executives as we set the tone for what you can expect from this customer conference and from Stibo Systems going forward! There's a lot of buzz around digital transformation right now. And it's led to quite a bit of spend from enterprise businesses across every conceivable market. The problem is, a lot of these investments aren't translating into results. Companies are spending lavishly on customer-facing technology, yet many are just spinning their wheels. What they need to understand is true transformation isn't achieved with glossy new ecommerce platforms. More often it's about the behavior of your own company's employees, along with the quality of the data that drives that behavior. Join guest speaker, Forrester's Nate Fleming to learn how a combination of revamped culture and diverse, high-quality data can drive businesses to innovate and grow in the always evolving digital era. Join your industry peers at a lunch table for a discussion about your industry's specific challenges. Network and problem solve all at the same time. Roundtables will include Retail, Manufacturing/Distribution, CPG and Automotive. Get there on time to secure your spot at the table of your choice and learn how your peers are handling their challenges and share your successes! Customer Success is a business strategy, a delivery methodology, as well as an organization; focused on exceptional Customer Experiences coupled with a maniacal focus on Customer Outcomes and their realization of value. Customer Success is a growth driver, changing the way our company approaches the Customer journey, so we can leverage satisfied Customers to fuel future sales growth. While the constant pace of change IT and business leaders face makes it hard to predict the exact challenges we’ll all face just a few years from now, our team is constantly working to improve our platform, so our customers will be ready. Join Stibo Systems’ Katrina Jin for a look into Stibo Systems’ MDM 9.1 and the new features designed to help our customers extract even greater value from their data and investment in MDM. In this session, Andy Rollins, Head of Data Architecture for Howdens Joinery, and Sam Goss, Founder and CMO of Comma, look at how Howdens have used data to underpin their journey from a red brick manufacturer towards an omnichannel business. The talk will explore the lessons that have been learned along the way and how important it is to remember the transformational part of digital transformation. Stibo Systems' MDM is used within ZF Aftermarket as a product information management system. As such processes like e.g. product development, market data enrichment amongst others are supported and implemented in the system. Processes were developed with a strong focus on central organization. Through acquisitions, organic growth and market developments, like the necessity for digital twins, it became more and more important to bring the platform onto a global, decentralized and scalable basis. This talk covers challenges, solutions and vision regarding this transition. What does “enterprise data” look like? Who touches the data, how is it ingested, how is it managed, how do businesses make value out of it? Hear the challenges top retailers and CPG manufacturers face with big data, how it impacts their organization, and tips on how to successfully fight through the data battlefield. Retailers offering customer-configurable items often struggle creating a seamless online shopping experience. Join Army and Air Force Exchange Service’s Ed Wood as he describes how introducing Stibo Systems’ Product MDM solution helped his top 100 retailers transform a tedious one-item-at-a-time shopping procedure into a ‘build-your-own-uniform’ experience that allows customers to create their own customized uniforms and check them out as one single item. Ross Stores discusses their journey and evolution to multidomain MDM. They will share with you how it has enhanced their business and ROI as well as best practices and challenges they have overcome in the process. Sponsored by Amplifi - Join us at the old Wonderbread factory where Mission Brewery has taken over and created a wonderland of craft beers for you to try! Music, drinks, food and fun await you! A world without master data management (MDM) is devoid of speed, innovation and a Business-first approach to IT. It’s a place where disorganized, redundant and isolated data results in poor product design, dissatisfied customers, and inefficient processes. 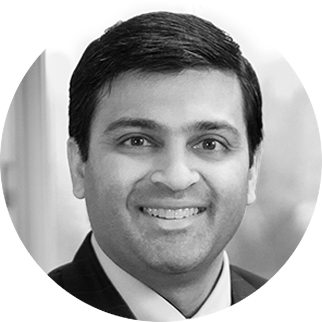 Join Prashant Bhatia as he describes a world without MDM and, most importantly, why and how a world with MDM gives businesses better outcomes and customers greater experiences. Discover how quality master data allows organizations to improve decision making, streamline processes, lower costs, increase sales, and more. As the organizations are embarking on digital transformation and moving towards Industry 4.0, it is necessary to turn data into an advantage to achieve greater business results. This brings in the importance of a Chief Data Officer to provide the executive sponsorship, guide critical decision-making process, empower innovation, and deliver value using data the organizations already have. During this presentation, Deloitte will talk about the role of a CDO and how to enable a successful CDO office to support critical business initiatives and an enterprise data management program that continues to deliver value. Deloitte will also share real-world examples of client transformation stories. Data needs to be connected for enterprises to make sense of it. Product Master Data Management (PMDM) encompasses immense value for enterprises on it’s own, but is even more powerful when coupled with Customer Master Data Management (CMDM) and Product Lifecycle Management (PLM): in-market product performance, customer preferences and habits impact new product development, which effect the supply chain, which ultimately effect what products are introduced by location. MDM allows for that 360 degree product visibility and traceability so critical for better, faster decision making in to today’s high paced, digital businesses. Hear how enterprises are leveraging CMDM and PLM in their organizations, and how the two have become a game changers for digital transformation. In order to meet competitive pressure to increase the size of their product assortment and make it easier for vendors to provide them with product information, The Home Depot has created an open network for data exchange. Building upon their master data solution, they have partnered with Stibo Systems to develop a cloud-based platform to gather product data from a variety of sources including data pools and content service providers. 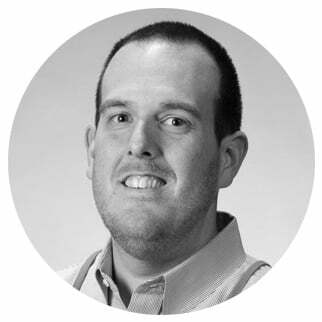 Come hear Joe Amorosso, Director of Enterprise Item Data at The Home Depot speak about how they used design principles to deliver a great user experience, onboard products faster, increase product accuracy, and ensure compliance with up-to-date retailer requirements. Innovation is the lifeblood of business. It’s enabled start-ups to disrupt entire industries, and mature brands to remain competitive, agile and relevant. When it comes to MDM, innovation is both a goal and the means to achieving it. Join Ian Rendall, Director of User Experience, for insight into how master data management enables forward thinking companies to achieve game changing innovation. And discover how innovative technologies like AI, machine learning and the IoT are elevating the role of data management and taking it to new heights. Join your like-minded individuals at a table for a discussion around various topics. Network and problem solve all at the same time. Roundtables will include Customer MDM, Product MDM, and PLM. Secure your spot at the table of your choice and learn more about these products and discuss more with your peers! Join Stibo Systems’ Bobby Warnick, SVP, Customer Success, who will share his perspective on the business value that can be derived from going through an upgrade and provide a refresher on our upgrade release schedule and recommended approach. Digital transformation is a journey. It requires leadership, vision, and change management as well as aligning people and processes to successfully occur within an enterprise. Come hear how Dal-Tile, the fastest growing division of Mohawk Industries, is staying ahead of the curve with innovation and technology to imagine what's possible. Stibo Systems’ Multidomain MDM solution portfolio has steadily evolved to offer our customers new ways to manage and leverage their data assets. Join Nils Pedersen, VP of Product Strategy, as he highlights the future roadmaps for our integrated Product MDM, Customer MDM and Product Lifecycle Management (PLM) solutions. He’ll share information on new features and functionality and insights into the benefits they will bring to our customers. Maintaining accurate, up-to-date product data is more essential to success than ever. It’s also more complex, especially for a company with 20+ brands and 10,000+ products, operating in 30+ countries around the world. Join Crystal Engel, Supervisor, Global Product Information for Hach, a leader in water quality technology, to learn how they are creating a scalable PMDM platform to drive product availability across multiple brands, languages and systems. Empowering marketing/sales teams to view cross-Opco products, and to create a single actionable golden record for customer-facing product data. She’ll discus their approach, the benefits to the business, and best practices for achieving success. At the Marriott Marina, you can board the Hornblower yacht where we will cruise off into the San Diego sunset for a trip around the bay. Sponsored by Cognizant, you will enjoy the beautiful views of the bay while enjoying a delicious dinner as you network with your new friends and celebrate all that you have learned at Connect 2018! Get a step-by-step guide to onboarding suppliers and enabling them to onboard their items, also known as Supplier Item Onboarding, and includes hands-on with 9.0. You’ll learn how to enable suppliers to self-service their information, including their company information as well as the products and digital assets they provide your organization. You’ll also learn how to introduce rules and governance to suppliers, search for noncompliant suppliers and trigger workflows. Learn how to set up and manage policies and thresholds, as well as how to subscribe to policy breach alerts. In addition to hands-on training with the 9.0 Web UI, you’ll set up a baseline configuration and use baseline data to trigger mechanisms and e-mail generation. The demo includes how to begin the process, breach discovery and much more. Get an introduction to 9.0. You’ll learn and work with the latest features including data datalog, SDL, workflow visualizer, guide navigation, attributes for products, Google Vision API and more. In this hands-on technical session, you will be introduced to best practices for taking advantage of DAM functionality using 9.0. You’ll also learn how to govern asset types and how they relate to other objects while supporting a massive variety of asset types – contracts, PDFs, videos, images, Microsoft Office documents, as well as Google Vision API. Designed for automotive users, you’ll gain first-hand training and knowledge for many features and functions, including AutoCare set up, AutoCare workflows, managing PIES, ACES, file numbers and other data types, as well as data linkage and mapping. Get in-depth knowledge of importing, exporting, editing and more. In this session, learn how improve a number of workflows for users in retail, footwear, and apparel. You’ll get a first-hand opportunity to create inspiration boards, collaborate to refine the concept, build out a line plan and review the schedule. Finally, you’ll approve your concept and see the seamless flow to finished good with preservation of the full audit trail. Go from concept to finished good all with Stibo Systems. Get a glimpse into the future of the Stibo Systems UX/UI strategy. Discover how Stibo Systems is innovating its software to be more powerful and intuitive. You’ll get a high-level understanding of the guiding principles that define our strategy, which prioritizes your experience interacting with Stibo Systems’ software. Matching and linking capabilities provide powerful benefits for building complete records and removing duplicate files. Boost your data stewardship skills with this business user clerical review to matching and linking. Learn how to leverage the platform to do the heavy lifting while understanding when and how to apply the exceptions only when needed. You’ll get tips for collaborative de-duplication using workflow, cleansing data, source traceability and more. In this course, you will discover how STEP can be used to address business problems through a variety of basic functionalities of the STEP Multi Domain MDM platform. You will become familiar with the fundamental concepts of STEP and learn how STEP works from a business perspective for product as well as customer data. You will learn how to import, maintain, and distribute data to downstream systems through hands-on exercises, discuss MDM implementation styles and look at how STEP generates Golden Records. The price for this training session is $1000.00 and includes breakfast and lunch. In this course, you will get the knowledge and skills to build functional workflows in STEP to meet the customer’s business requirements. You will configure a workflow that incorporates each task type, including parallels and clusters that permit concurrent tasks. You will optimize your workflows with conditions that control the flow of tasks, and actions that automate tasks. You will also look at tools such as deadlines and profiling that allow you to monitor the efficiency of your workflow and its users. The price for this training session is $600.00 and includes breakfast and lunch. In this course, you will gain the knowledge and skills to configure the STEP solution to effectively monitor product and customer data, troubleshoot issues with data quality, and configure STEP components that will locate and manage duplicate objects. You will configure data quality components, including category profiles, attribute profiles, reference type profiles, and dashboard KPI widgets. These tools will be used for general reporting as well as determining the best data to use in deduplication. You will also implement match codes for grouping potential duplicates and apply matching algorithms to analyze, confirm, or reject duplicates. These lessons will explore deduplication for product and customer data models. The price for this training session is $1200.00 and includes breakfast and lunch. In this course, you will get the knowledge and skills to build functional Web UIs in STEP to meet the customer’s business requirements. You will configure a Web UI that incorporates various screen types for displaying object details, or a list of objects (as in search results). These exercises will incorporate screen optimization options such as tabbed pages, columns, and flippers. Additionally, you will configure common Web UI components such as advanced search, importing/exporting, homepage ‘widgets’, and workflow tasks. These exercises will be based on real-world uses cases. 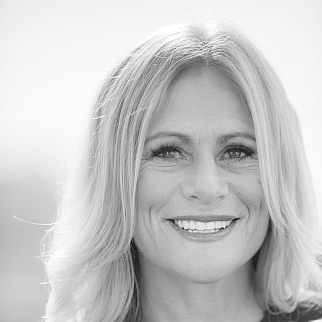 Robyn Benincasa is the founder of World Class Teams, a world champion adventure racer, a CNN Hero, former corporate sales expert and a full time firefighter who advises organizations on building World Class Teams of their own. One of the highest rated female speakers who regularly shares the stage with world leaders and business icons, her customers include many Fortune companies like Starbucks, Deloitte, Aflac, Fast Company, Boeing, Lockheed Martin, ARAMARK, Siemens, 3M, Coldwell Banker, Ameriprise, Microsoft, AT&T. With a background in marketing, she was previously in corporate sales with Baxter and Allergan and is currently a full-time firefighter. challenges that she has emerged with her refreshing and truly unique perspective on what it takes to build the kind of World Class Teams that succeed against all odds, that triumph in the face of adversity and that win as one in times of great challenge and change. Whether you’re trying to beat the competition to market, scale a looming mountain of a project or simply get your team all marching in the same direction, Robyn’s 8 Essential Elements of Human Synergy will coach you to the finish line of success. Channel, Vogue, Harpers Bazaar, Runners World and Outside Magazine have all featured Robyn and her teams’ amazing accomplishments. And Robyn accepts full blame for inspiring people to do insane things like climb Mount Kilimanjaro, run their first triathlon, start their own adventure racing teams, hike across the Grand Canyon with a group of Survivors, or start their own businesses. This is, after all, who she is and what she does: Robyn Benincasa inspires people to grab life with one hand, grab their teammates with the other, and to create that special magic that makes all of us better together than we ever would have been alone! Referred to by his fans as "the Artist for the People", Phil Hansen is an internationally recognized multimedia artist, speaker, author and innovator — at the forefront of bringing art to a wider audience. Crashing irreverently through conventional boundaries, Phil works at the intersection of traditional art, electronic media, offbeat materials, and interactive experiences. He is most widely known for his meta­art, videos that document the creation process (sometimes even through destruction), showing millions that art is action, not just result. Hansen's work also extends deeply into traditional media with features on the Discovery Channel, Good Morning America, the Rachael Ray Show, Last Call with Carson Daly, Glamour and many more. His work is sought-after by many influential clients including the Grammy Awards, Disney, Skype, Mazda and the Rockefeller Foundation. Jörg Maier works as a team lead in the product information department within the Aftermarket division of ZF Friedrichshafen AG. He is responsible for providing all technical product information in the right way, speed and quality to internal & external customers within the Aftermarket division. With a strong background in computer science he and his team build a bridge between the business departments and the IT to support and empower the digital transformation with a solid foundation and the change management capabilities to tackle new challenges and fast changing market requirements. 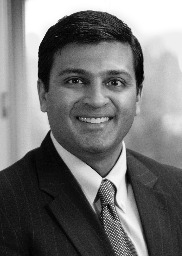 Prashant Bhatia is the global chief product and marketing officer for Stibo Systems and as a seasoned veteran with more than 20 years in the enterprise software industry, he has demonstrated the ability to link product innovations to the customer-focused operations of both product development and marketing. He is responsible for developing a successful go-to-market strategy that creates a greater awareness of the Stibo Systems global brand and drives customer preference for that brand every day. His love for sports and years of coaching experience have taught him that winners don’t wait for something to happen, they make it happen and that’s exactly what he is doing at Stibo Systems. 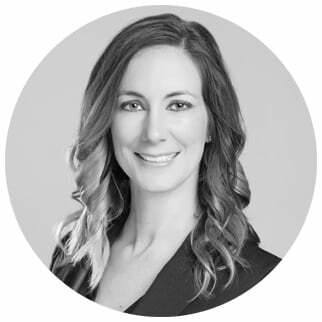 Crystal Engel leads a central PIM team in the Marketing Digital Growth Team, a division of Danaher’s Water Quality Platform and has had a number of roles with Hach previously, since joining them in 2005. Her role is focusing on expanding the product offering for multiple operating companies while increasing quality and translations for existing brands. She holds a Master’s in Business Administration and a BS in Zoology and Conservation, mixing a scientific background with business strategy in Danaher’s digital TMDM push. Edward Wood has worked for the Army and Air Force Exchange Service for over 28 years and has held a variety of positions within the organization during that time. Mr. Wood has led the item data management team, a field reset team, as well as a process team within the company.He currently works in the E-Business directorate as the solutions lead for the Product Information Manager (PIM) project. René Henrik Stephansenis the chief financial officer (CFO) forStibo Systems’ Northand South American business, with local offices in Canada, Colombia, Brazil and Mexico. With more than a decade of experience holding senior CFO positionsfor global companies including BEUMER Group, and Monsanto in Brazil, Colombia, and Argentina, Rene brings a wealth of international knowledge to the role, whichforms part of the global leadership team.He works closely with the sales organization to grow business in high-risk markets; oversees the implementation of financial control processes; handles financial risk management, currency, credit and business risk; and performs global business analysis and development. Bobby Warnick is the Senior Vice President of Customer Success for Stibo Systems in North America, where he is responsible for customer outcomes and the customer end to end journey. 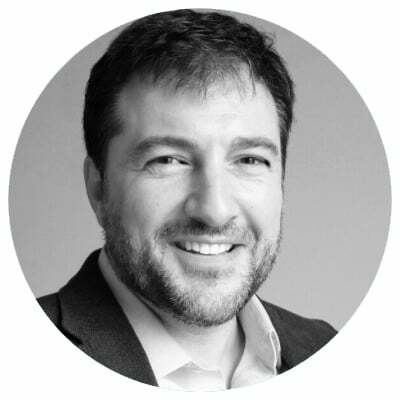 During his over five-year tenure at Stibo Systems, his responsibilities have centered around leading teams to effectively deliver over 75 new customer implementations and contributing to thousands of customer engagements to extend and enrich their business value through Stibo Systems’ technology. 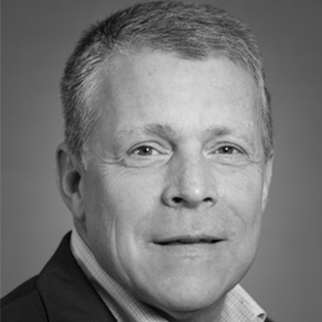 Bobby is currently focused on accelerating a next-generation experience for customers and partners.With more than 20 years of experience working in both in industry and consulting leadership roles, he holds a BS and MBA from Virginia Tech and currently resides in Atlanta, GA with his wife and two children. 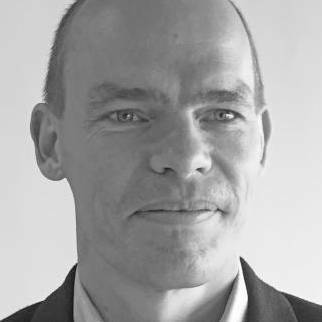 Nils Pedersen is the Vice President of Product Strategy for Stibo Systems. 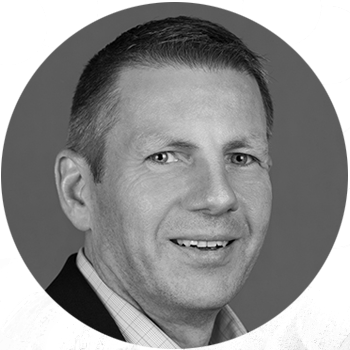 With over 23 years of experience in the data management industry as well as with the company, Nils has been instrumental in establishing the initial version of our current enterprise platform and building the vertical solutions for our customers as well. He is an avid runner, who never misses a day of running some distance no matter how small, which showcases his dedication to his goals and his perseverance in delivering the best solutions for our customers at every turn. 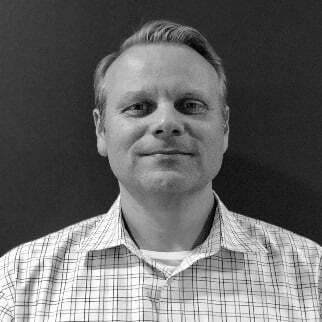 Jesper has two decades of experience with Product MDM. 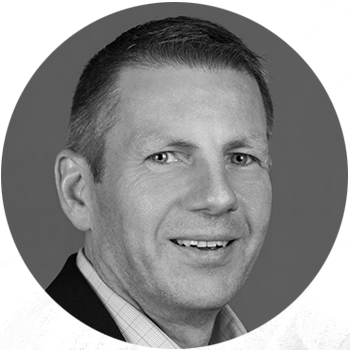 Joined Stibo Systems in 1998 as a developer in R&D, has worked in Professional Services, Technology Consulting, and Alliances. Currently responsible for our Product MDM and PIM offering, roadmap, product build, and for bringing the right solutions to the market. Also worked four years as Associate Professor at Denmark’s largest university college of applied sciences, teaching computer science and technology. 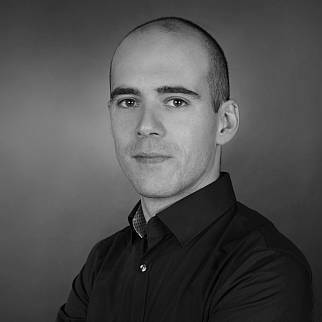 Jesper holds a PhD in computer science from the Technical University of Denmark. 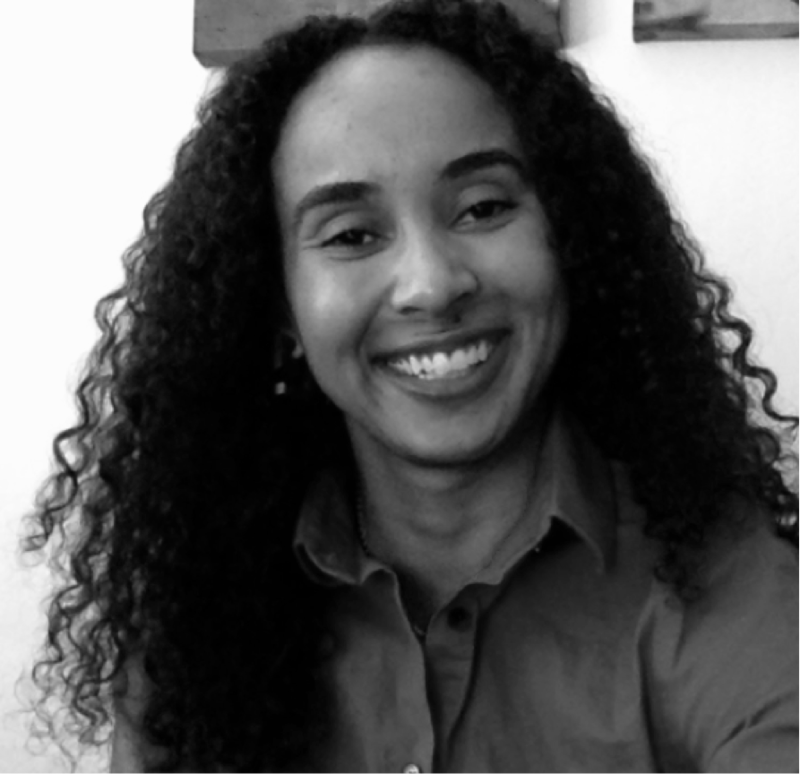 Auria Moore joins Stibo Systems as the Director of Solution Strategy for Customer Master Data Management after working in the data space for over 15 years in a variety of industries. Her passion for driving value-based outcomes for customers is helping companies succeed in all aspects of their data management and digital transformation strategies. 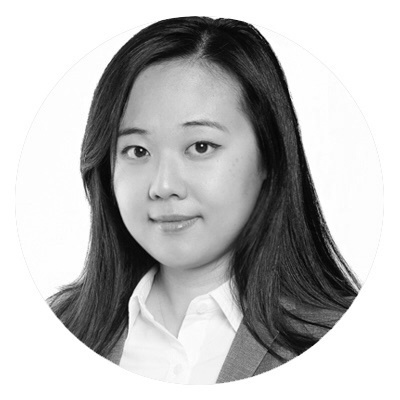 Katrina Jin is the Senior Pre-Sales Solution Consultant at Stibo Systems. 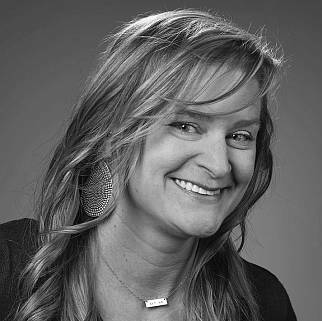 Katrina has been at Stibo for 5 years and has been a critical lead on implementations at various Stibo customers in North America. 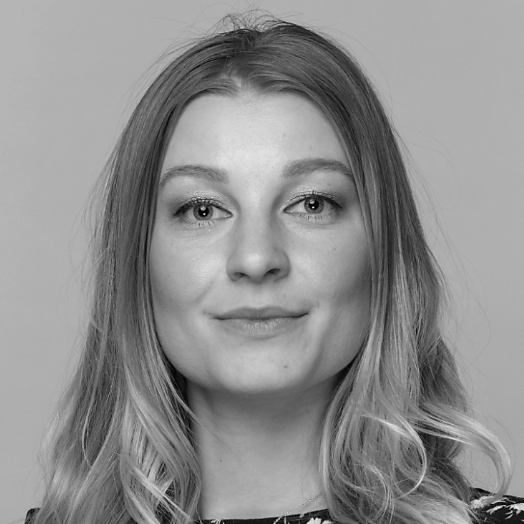 Katrina joins Pre-sale team with her wealth of implementation experiences in different verticals, she has been a MDM evangelist who is responsible for leading proof of concepts and demonstrations with Customers and Prospects. 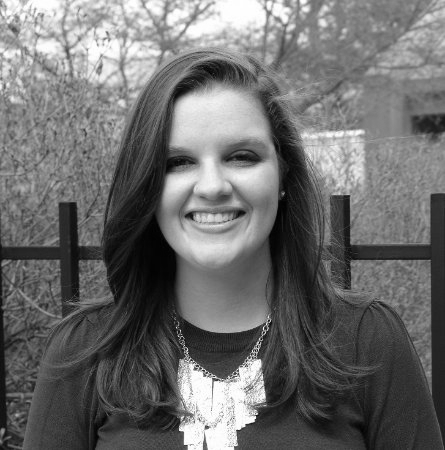 Outside of Stibo, Katrina is a world traveler and a fashion enthusiast. Senior Sales Consultant with Stibo Systems’North American Sales organization for the last four years. Bringing ten years ofexperience in the master data management, working for best-of-breed and large vendors such as Initiate and IBM, and nine years in the Business Intelligence space across many industries and domains. The experience is key to position STEP across a multitude of scenarios: operational and analytical. Allison Stilley has spent the last decade advocating for businesses, unraveling data challenges and opportunities for improved data quality. As a sales engineer, Allison is passionate about helping enterprises in their journey toward holistic data governance, engaging stakeholders across the organization. She enjoys enabling her clients and partners to solve real, complex business problems and finding solutions to better manage their data. Outside of enterprise information management, Allison wants to learn more about the world, especially through eating, cooking, and traveling. 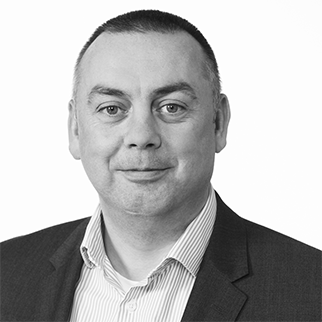 Andy Rollins has worked for Howdens Joinery for the last 21 years; currently as the Solution Architect within the Central Systems division responsible for all of the HR, Payroll, Analytics & Data Warehousing solutions. Over this time Andy has helped the organization on a journey to migrate from Legacy applications onto best of breed solutions that form the basis from which Howdens can continue to grow. For the latter part of that journey he has taken on responsibility for Product MDM at Howdens, successfully working with the business, over the last few years, to first implement PIMs and then as an integral part of the team delivering Howdens digital transformation project and build their strategy for the future. 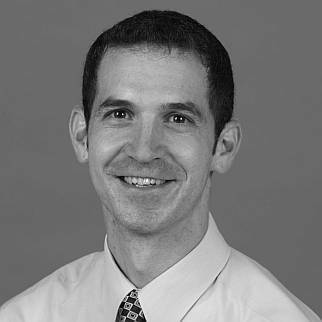 Joe Amorosso is the Director of Enterprise Item Data at The Home Depot, where he is responsible for Product Management, Attribute Governance, Data Quality, Business Intelligence, and User Support. He has been with The Home Depot for over 10 years, all of which have been in the item data space. Through implementing the original version of STEP at The Home Depot, and as a foundational partner in the buildout of Tagglo and PDS, he has become an advocate for the success of these programs. 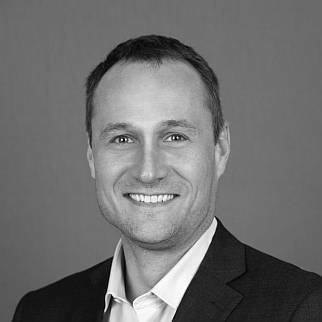 Software and data industry veteran Niels Stenfeldt, joined Stibo Systems as the chief executive officer, taking the helm of the industry leader building on momentum from its recent fiscal year into the next era of growth and transformative innovation. 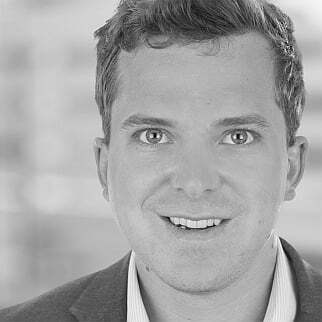 Sam Goss, CMO of Comma Group, is also one of it’s founding members. He shared the other member’s aspirations to bring a new direction of consulting to the data management domain. Coming from an MDM and PIM background across some top hospitality chains, he saw first hand the challenges businesses faced with their data. He, along with the other founding members, agreed that Comma was the solution. As Senior Vice President, Justin leads the U.S. strategy and global channel business for Loqate, the Location Intelligence business unit at GBG. 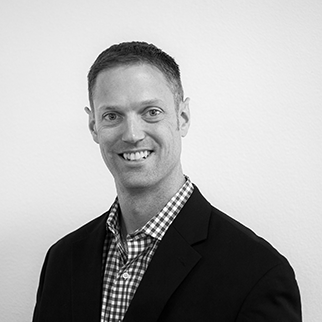 Justin is a strategic and dynamic executive with over 15 years of leadership experience and success driving commercial growth for businesses in the financial services, software & technology, healthcare, and data quality sectors. As a former professional baseball player, Justin has a love for anything Dodger baseball. Kevin Burr, Senior Director of Master Data Product Management, a $350 million line of business for Dun & Bradstreet, spent most of his career working with data in one form or another. As a serial product and project manager, he has worked with financial data in early online trading systems, trade modeling, retail trade data, and enterprise customer and product information management across a variety of industries and use cases with some of the top Fortune 1000 companies in the world. 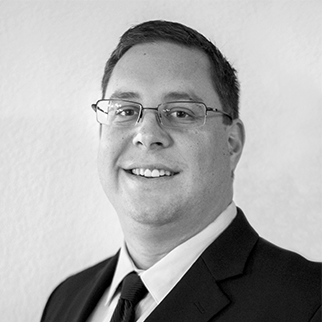 Kevin spent the past 20 years developing expertise in areas of enterprise information management such as data modeling, data management, data governance, implementation consulting, value modeling and building master data strategy and business plans. Current interests include machine learning and assisted intelligence applications to identity resolution, automated stewardship, enterprise governance policy enforcement, and recommendation engines for data management systems – and even dabbles in a little Python coding from time to time. In his spare time, when he’s not pulling his hair out debugging code for online courses, Kevin can be found in the gym, hanging out with his two teenage daughters, and driving with the top down. 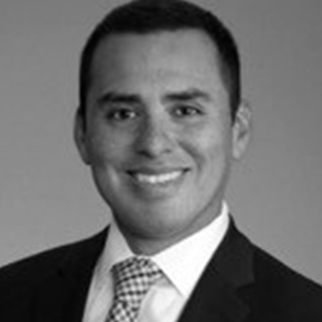 Juan is a Principal with Deloitte with over 16 years of consulting experience. Juan is the national lead for Deloitte’s Data Delivery practice and also serves as the Chief Data Officer for Deloitte Consulting LLP, USA. Juan has handled various leadership and management responsibilities focused on global business and technology integration initiatives for large fortune 500 companies. Juan has advised, lead, and implemented over 40 programs that represent enterprise architecture planning, application & data integration, data warehousing & reporting, and data management & architecture primarily in Energy & Resources and Consumer & Industrial Products industries. 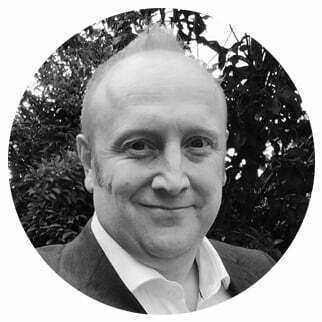 Ian Rendall is the Director of User Experience for Stibo Systems and his expertise in the data management arena spanning more than 23 years sees him uniquely placed to drive the future direction of our user experience. 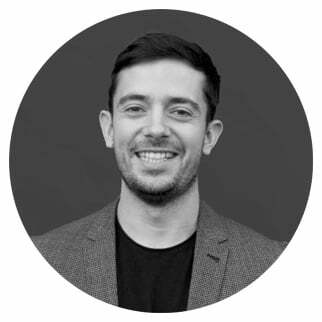 With a proven background in supporting, implementing and articulating the value of MDM solutions to demanding organisations within a diverse range of industries,Ian's devotion to pixel perfection has served him well.Ianis focused on delivering the next generation of user interfaces for our user community. 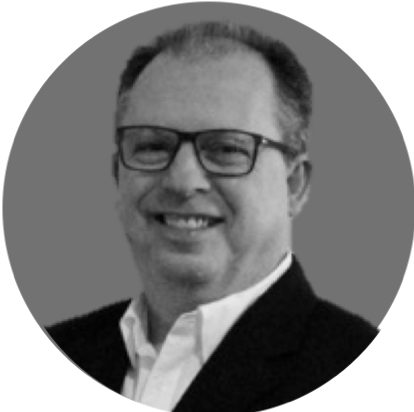 Ken Rundus is a proven business IT leader who has attained superior performance with transformation of organizations through organizational alignment and new technology. 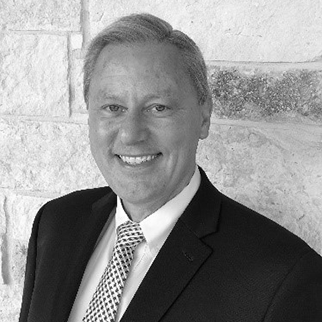 Ken established a reputation for excellence by aligning people and processes in project management and leadership roles at Exxon and PepsiCo (Frito-Lay and Pepsi Foods and Southwest Airlines. He joined Dal-Tile with a new company president, CFO and leadership team who, in the first three years, completed a successful transformation of the IT organization and the company to become a highly profitable industry leader and became the fastest growing segment of Mohawk Industries. As Mohawk expanded globally with acquisitions, Ken implemented the Organizational Change Management program. In 2017, Dal-Tile started a Digital Transformation. As part of this initiative, Ken chairs the Executive Governance Board, led the selection of a Digital Marketing Partner and is implementing the Digital platform foundation with Stibo Systems and Adobe DAM. 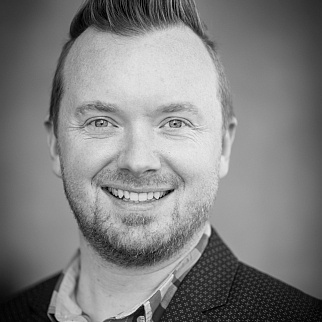 Soeren Ahrens is a Vice President in IT at Ross Stores and is currently responsible for End User Productivity, Middleware-MDM, Custom Dev & Data Technology. Soeren is passionate about delivering business & user-centric solutions based on pragmatic architecture and IT solutions. While at Ross, Soeren spearheaded multiple, strategic initiatives ranging from SOA adoption, Data Lake, Microservices architecture and now master data management & end user productivity/collaboration. 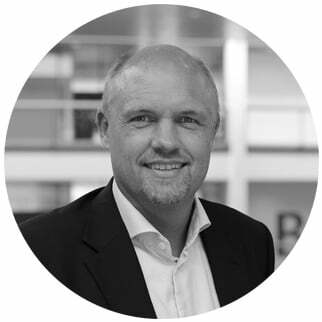 Soeren is a seasoned IT executive with extensive experience across multiple industries (Finance, Travel, Retail) in both consulting and industry. 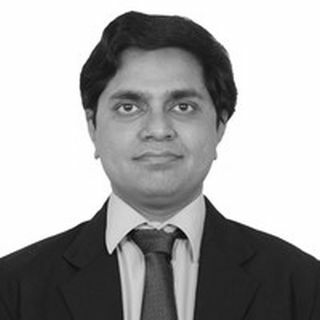 He has held various roles from leading Enterprise Architecture, Senior Program Delivery and IT Portfolio Management. Soeren has spoken at conferences like Oracle Open World to NRF. Soeren holds a degree in Computer Science from Furtwangen University in Germany. Connect 2018 is the perfect way to gain new ideas and see new solutions while gaining the opportunity to connect and strengthen your peer network. Need help convincing your manager? Download our letter and tailor it to your needs. The conference kicks off with a Welcome Networking Reception Sunday evening and wraps up with a Yacht Cruise on Tuesday evening. This allows time for you to travel home Wednesday evening, so you don’t have to give up an entire work week. Your conference registration fee is all-inclusive. All meals and receptions are included with the registration fee. Participate in two days of MDM knowledge sessions. Participate in two days of sessions directed by industry leaders, which are focused on providing knowledge you can put into action from day one back in the office. Hear real-world success stories from fellow customers. Learn how other customers are using Stibo Systems to deliver corporate intelligence across the enterprise in our customer-lead sessions. Network with peers and Stibo Systems experts. All conference sessions and meals take place on one level of the Marriott Marquis. Use this intimate setting to collaborate with your peers and make long-lasting professional connections. In addition, Stibo Systems experts will be accessible at the genius bar throughout the event to consult on any issues. Choose from an array of sessions suited just for you. The Customer Conference is designed with various types of learning environments, so you can choose the sessions that best suit you. These sessions are for business and IT professionals at any stage in their careers and will be interactive or educational. Learn how to leverage your existing data management accomplishments to achieve true multidomain Master Data Management on the enterprise level. Connect with other customers who have employed their data management systems to increase profits, to direct crucial decisions and to boost operational efficiency by taking MDM from the project or program level to an enterprise success story. Immediately increase your value by learning how to solve the challenges you face every day, including the demands of operating in an omnichannel environment. Acquire tools to break through the operational barriers and inspire your organization's vision of multidomain Master Data Management. We are bringing our most popular certification classes from the Stibo Systems Academy Training so you can get more bang for your buck. Discounted fees apply for those attending Connect as well as training. Connect will be located at the beautiful Marriott Marquis San Diego & Marina. Enjoy the marina and everything San Diego has to offer with the discounted rates extended 3 days before and after the conference. Registration includes all sessions, meals, and refreshments during the event as well as networking receptions from Sunday, Oct 7 to Tuesday, Oct 9. I received a promotion code. How do I use it for registration? During the registration process you can enter the code (see ‘Register’). Who can attend the User’s Day? Any customer of Stibo Systems can attend User’s Day. This day is filled with demos and an in-depth look at the product lines. It’s designed with users and super-users in mind and it’s included in your registration fee! Attendees are responsible for their own travel and accommodation bookings. We’ve reserved a room block at Marriott Marquis San Diego Marina that includes a discounted rate of $254 per night. The rate is also available 3 days before and 3 days after our event so you can stay and play! The booking deadline is September 14th so don’t delay! How do I get from the San Diego International Airport to the Marriott Marquis San Diego Marina? The airport resides 3.3 miles from the hotel. A taxi or rideshare are the recommended options for transportation. Have you ever wondered what connects the herdsman of a cattle in classical antiquity with data? Find the answer in our short video! Network with your peers to make the most of the conference. Start networking even before the event. Get all the agenda and speaker updates directly. The app can be found by searching "Stibo Systems" and is now available to download. All of our attendees have received further instructions to login. Get the latest info and details about the agenda as soon as it’s released.